The Liberian Corporation is one of the oldest and most popular types of entity for establishing a commercial enterprise. The Liberian Corporation is an entity recognized by law as a separate legal “person”, distinct from its shareholders, with separate rights and liabilities. In general, the Corporation’s shareholders, directors and officers are not liable for corporate debts and obligations. Of course, directors and officers are expected to carry out their duties in good faith and with due diligence. The Corporation is easy to form and administer and requires no annual filings. 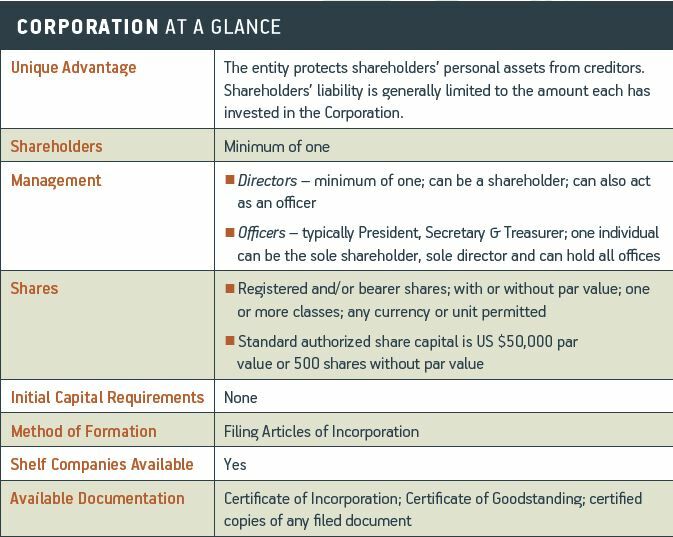 Corporations are particularly suited for personal or business single-asset ownership as well as for use as holding companies. Moreover, they are sufficiently robust for a public offering.